Over the past few years we have specialised in mainly architectural new works of which most have been quite unusual and challenging in design. We pride ourselves on a quality job with a quality finish. This requires the help of a number of sub trades, manufacturers & suppliers all as equally skilled as our own people. We also pride ourselves on having all the tools and equipment required to complete the job from start to finish. Apprentices have been an important part of the business and we have made a point of employing at least one apprentice at any one time. 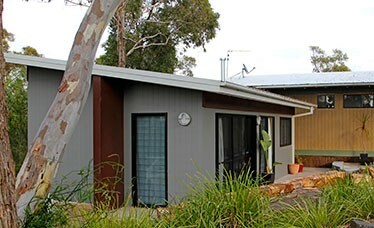 In 2004 the Rogers home received several major awards from the 2004, Housing Industry Association (HIA), ACT & Southern NSW. Winner – Coastal Home of the Year. Winner – Custom built home $250 k – $400 k.
Finalist – Innovative Use of Steel. Finalist – Custom built home open. In 2005, four of our projects won many of the categories in the South Coast region & progressed on to the ACT & Southern NSW area. Winner – Bathroom project of the year. Winner – Energy efficient house of the year. Finalist – Coastal home for 2 projects. Winner – Bathroom project of the year, open. 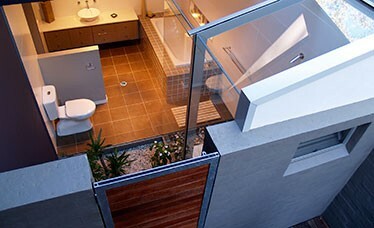 The HIA also included our winning bathroom as a finalist in the 2005 Australian Bathroom Project of the Year. In 2006 we entered only one project as it was a large one in the South Coast Awards. 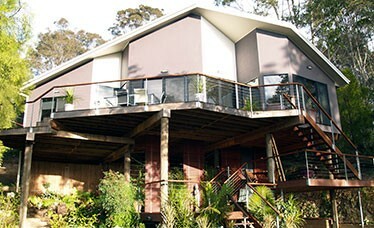 In 2007 we tried something new and designed two quality project homes. The first of which we called the “Mimosa” which went on to be a finalist in Canberra in Green Smart Home of the Year as well as winning locally for project home. It was also a first for us in the construction of a purpose built swimming pool and outdoor entertaining area for a child with special needs.